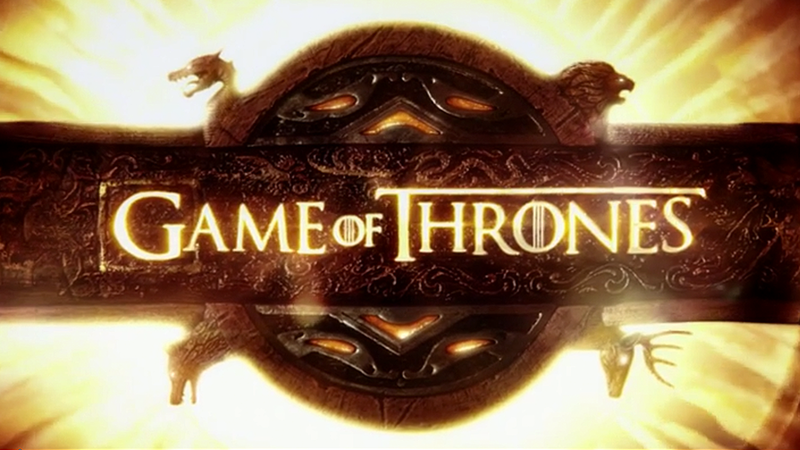 7 Stories From the Set of Season 4 — Making Game of Thrones " "
Experiencing Westeros withdrawal? Get your 'Game of Thrones' fix with these stories that pull back the curtain on some of Season 4's most buzz-worthy moments. One fan favorite cameo this season was Ser Pounce, King Tommen Baratheon's cat. Co-producer Bryan Cogman, who also wrote Pounce's on-screen debut, shares what Pounce was like off-camera: "In the book he was a kitten but I arrive on set, and they’ve cast a sumo wrestler cat," Cogman recalls. "Filming with a cat is a nightmare. Natalie Dormer [who plays Margaery Tyrell] wanted to kill me. But the cat is in it because he serves a purpose: You immediately see that Tommen is not Joffrey. Tommen is a sweet boy with a cat named Ser Pounce, and who has found himself in incredible circumstances... The innocence of Tommen is fun to play with because there isn’t a lot of innocence in this world." Bad news for the kitty fan club – Cogman admits, "This is probably the last time you’ll see Ser Pounce." Didn't catch the reference to 'Monty Python' in Season 4? You should brush up on your High Valyrian. Linguist David Peterson shares an Easter egg from Episode 3: "There's a scene where the Meereenese rider is challenging Daenerys' champion. He's shouting and Nathalie Emmanuel [Missandei] is translating – but she's not translating what he's saying. He's actually saying a Low Valyrian translation of the French guy's insults in 'Monty Python and the Holy Grail.' That was [series creator] Dan Weiss's idea and it was so hilarious that I had to do it." Fans were smart enough to realize something was up: "Right after that episode aired, I was getting tweets like, 'Is he saying a 'your momma' joke?' Close… But no, he's actually starting out with, 'Your mother is a hamster.' "
Oberyn Martell met his brutal end during the trial by combat in Episode 8. Actor Pedro Pascal reveals how the scene was crafted: "They made a cast of my head from the shoulders up and dressed it with facial hair and the expression of violent agony," Pascal recalls. The actor confesses he was fascinated by the prop. "We never get a chance to see ourselves three-dimensionally, and it's totally different," Pascal exclaims, "I was like, 'Holy sh*t. I really look like my dad.' "
Season 4 ends with Arya Stark sailing to Braavos. In real life, the backdrop was not so epic. "That scene was shot at a car park in front of a green screen," Maisie Williams tells HBO.com. "It's not quite like being on a legit ship in the middle of the ocean, so to really get into that, you summarize the whole season in your head, from Day 1, getting Needle back. It's a really twisted a version of growing up and leaving home – which Arya is, but she's only 12. She looks back at her past home and a little part of her is wondering, "Should I stay?" And she turns and looks at the front of the ship, and her decision is made." Ben Hawkey, who plays Hot Pie reveals that the loaf of bread his character makes for Arya wasn't exactly one of a kind. "There wasn't just one bit of bread – there were like 70 identical breads on set," Hawkey divulges. "The person who kneaded them probably had a hard, early morning that day." The epic brawl between Brienne of Tarth and the Hound left both sides battered. Rory McCann reveals his conversation with the stunt team: "They came up to me and asked, 'Are you alright, mate, about kicking her in the ‘foo foo’?' I know what a 'foo foo' is now." McCann explains how the shot was executed: "On the day of filming, they put a big belt between [Gwendoline Christie’s] knees so while she was crawling, I could take a right good run at her and my foot would just miss her." While Sam was thrilled by the long-awaited lip-lock with Gilly, Hannah Murray shares the underwhelmed response from her scene partner: "John [Bradley] was like, 'You're not giving me very much back.' And I told him it's wasn't a personal thing, it was a character choice. I felt that Gilly has never been kissed before, and she probably doesn't even really know what kissing is."